Sleek MakeUP has launched a new global campaign with the aim of tackling makeup shaming and I’m proud to be a part of it! Sleek MakeUP‘s new global campaign #MyFaceMyRules has now launched! The new campaign has been created with the aim of tackling makeup shaming and to positively recognise and stand up for everyone’s right to define their individual beauty, without boundaries! Sleek MakeUP has joined forces with Ditch the Label, an international anti-bullying charity, for the campaign. I was absolutely delighted when they asked me to be a part of the campaign. Ditch the Label has collaborated with myself and a bunch of bloggers to talk about why we wear make up, which you can see here. I’ve worn make up for years (even back as a child I would play around with children’s make up and experience with blue eyeshadows and bright pink lipstck!) And I’ve always received so much criticism over it. I’ve been told it’s too much, it’s weird or I look ugly without it. I don’t wear makeup to please anyone else but myself. I feel more confident in it and it’s how I can express myself. I can express my personality and my style by getting artistic with my make up and it isn’t something I or anyone should be ashamed of. I love the ‘My Faces My Rules’ campaign because it’s similar to what I’ve always said. If anyone judged me for my bright hair or my bright clothes I always say it’s my body and I’m the one who has to look like this, so why does it offend them? But with age I’ve started to care a lot less and I’ll go out wearing a bright purple, pink or even blue lip without a care. 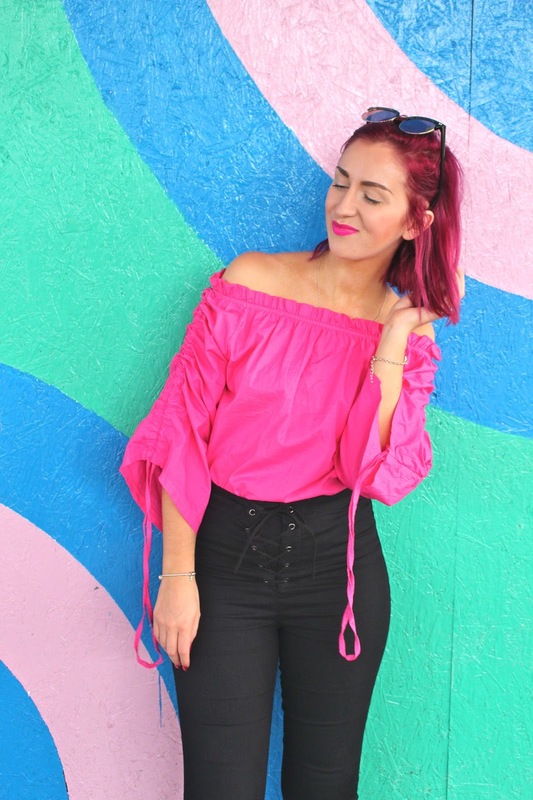 As regular readers will know, I’m all about promoting confidence and banishing the judgement (see here, here and here) whether that be on body confidence, fashion or makeup. So I’m delighted to see that brands are working to create campaigns like Sleek MakeUP‘s My Face My Rules campaign. I feel so inspired by Sleek MakeUP and for all of those involved in the campaign. It’s so refreshing that so much is being done to boost confidence and ditch the judgement! Sleek MakeUP was founded 25 years ago to cater for those often ignored by the mainstream beauty industry, Sleek MakeUP, has always been a brand with diversity and individuality at its core. This campaign is the culmination of everything they have been passionate about as a brand for the last 25 years. 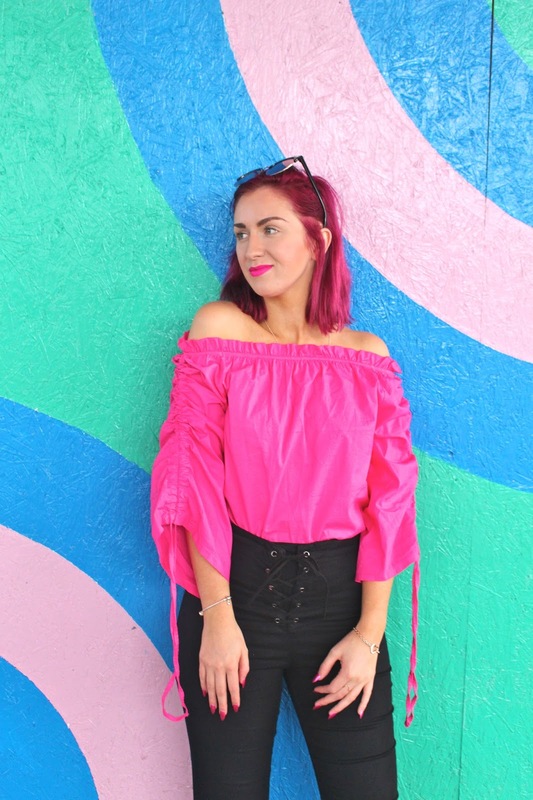 I chose these photos for this blog post as I felt the bright colours, whether that’s my makeup, hair, outfit or the colourful wall, really represented my style and why I’m all for the My Face My Rules campaign. Check out my quote on Ditch the Label about why I wear make up here.